Sarah Spencer studied painting at Camberwell School of Art and gained a Scholarship from The Arts Club for postgraduate study at the Royal Academy Painting Schools. Her work is held in public and private collections at home and abroad, and she is currently preparing for her eleventh solo exhibition in London at the Russell Gallery. She was elected as a member of the New English Art Club in 2005 and is a member of the Federation of British Artists. She has received major national and international awards for her work and has exhibited with the National Portrait Gallery’s BP Portrait Award, the Royal Academy, Royal Society of Portrait Painters and is a regular exhibitor at the Mall Galleries. In 2013 she was awarded the NEAC Painter-Stainer prize, and in 2011 was selected for inclusion as “one of ‘Britain’s most eminent contemporary figurative artists” in the ‘Pure Gold’ exhibition celebrating the Federation of British Artists’ 50th anniversary. I gave my husband a painting by Sarah Spencer for his fiftieth birthday a few years ago – one of those cunning presents that the giver enjoys as much as the receiver. At first sight a rather sombre study of grey skies above Whitstable beach, it produces different effects throughout the day. Depending on the weather outside, sometimes it threatens a violent rain storm and other times it promises clear, calm skies after the squall has passed. Sarah Spencer’s exquisite studies of sea- and sky-scapes embody opposing, yet complementary emotions. Joyous celebrations of light as it sparkles off water or streams through clouds, her paintings are also evocative expressions of a certain contemplative mood, like that of the solitary walker who comes across an empty beach above which ominous storm clouds broil, or, following a summer shower, promises sweet, damp delights. Yet it is the restrained and unsentimental response to what she sees that makes Sarah such a powerful painter. Whether in a vast East Anglian sky or an intimate close-up of a child or still-life, her muted palette and precise layering of tones and glazes produce a unique combination of delicacy and control. Sarah’s tenth solo show has been eagerly awaited by collectors of her work, both private and public and which include the art critic Brian Sewell, and prominent writers and actors. Having exhibited at the National Portrait Gallery, the Royal Academy, The Royal Society of Portrait Painters and New English Art Club at the Mall Galleries, Sarah is now firmly established, in the words of artist and critic William Packer, as one of ‘Britain’s most eminent contemporary figurative artists. …Sarah Spencer captures the mature quality of an old Master in paintings that reveal a gift for bringing to life a scene that might be thought featureless. David Wolfers has an eye for young talent, especially that emanating from the Royal Academy Schools, as shown in his exhibition of paintings and drawings by Sarah Spencer. Sarah Spencer captures the mature quality of an Old Master. 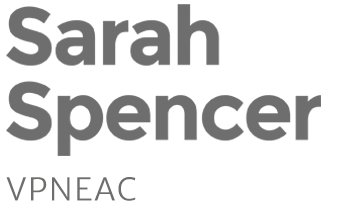 …Trained at the Camberwell School of Art, Sarah has exhibited regularly at the Royal Academy and her work is held both in private and national collections. Nowadays, she lives by the sea and her paintings, which have a sensitive and mature quality, reflect the influences of such surroundings. …another Waterman high-flier is Sarah Spencer who specializes in small seascapes of Whitstable . Waterman’s young artist tempers the traditional with her own individual talent and offers a convincing alternative to dead sheep. This is the second one woman show by Sarah Spencer. Her work has a maturity and restraint which belie her age. Art writer Edward Lucie – Smith chose five artists he believes will have a particular impact on British art of the future: Sarah Spencer´s paintings are very elegant and rather lovely in the old St. Ives tradition. They are curiously old-fashioned but very sophisticated. This artist’s work is by far the most delicate.